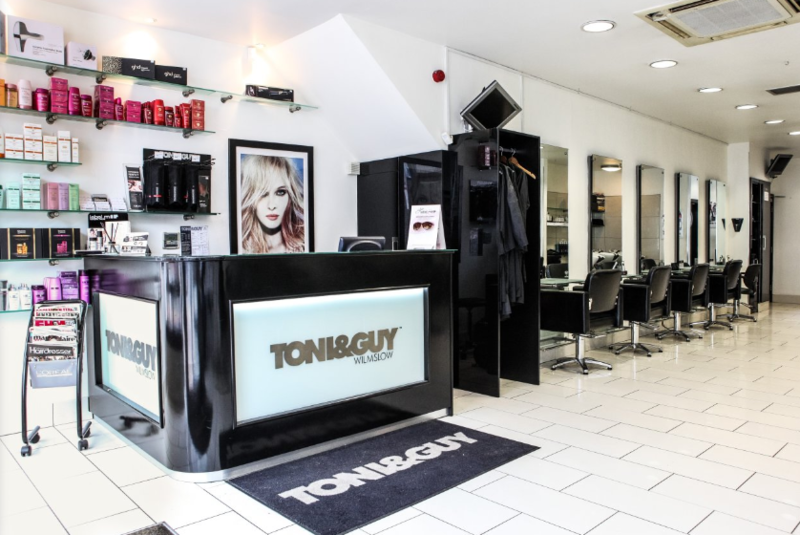 TONI&GUY Wilmslow opened in 2000. As a salon we pride ourselves on delivering the highest standards of customer service to each and every client. Our talented team of stylists and technicians are on hand to give you expert advice and create hair that is individual and easy to live with, interpreting fashion trends with versatile wearable styles. Members of our salon are part of the TONI&GUY Session Team and have worked alongside the International Artistic Team on catwalk shows at London Fashion Week, bringing the latest trends from the catwalk to our clients. Members of our Colour team hold the prestigious L’Oreal Colour Degree and Wella Master Colour Expert accolade. Their knowledge and expertise are on hand to advise you on the latest colours and techniques. We offer many additional services including Bridal and Occasion hair, the NanoKeratin Smoothing blow-dry and Raccoon Hair extensions.Our wide range of haircare products include label, Kerastase, GHD, Moroccan Oil, L’Oreal, Tangle Teezer to keep your hair salon perfect until your next visit. My stylist Emily gave me an amazing new colour witch I am in love with, it looks beautiful! Gorgeous, love what Jess has done to my hair. Feel like a new woman. Brilliant as usual. Love this place. Chris Penney is a star! Lovely greeting, great service, and excellent cut and blow dry. Thanks Jen. The atmosphere in T&G Wilmslow is so friendly and unpretentious - it’s a real pleasure to visit. Marvellous magical Millie waved her tint brush over my hair again - fabulous colour. Also full marks to Courtney the apprentice for great customer care and blow dry. I always look forward to having my hair cut and a good old natter with Becky! I highly recommend this salon! ???? T&G Wilmslow are amazing from the juniors to the owner. Millie colours to perfection. Beky does the best cut that's why I am still there. Always pleased with the service and love my new haircut! Exactly what I wanted - from shampoo to cut and blow wave. A lovely busy salon. Everyone very friendly and helpful. I had highlights and a cut my hair looks and feels fabulous. Thank you Becky and Millie. Nadia cut and coloured my hair BRILLIANTLY! Love my stylist Chris / very attentive wonderful chats and always happy with his cutting and styling. All round s therapeutic occasion ??? ?